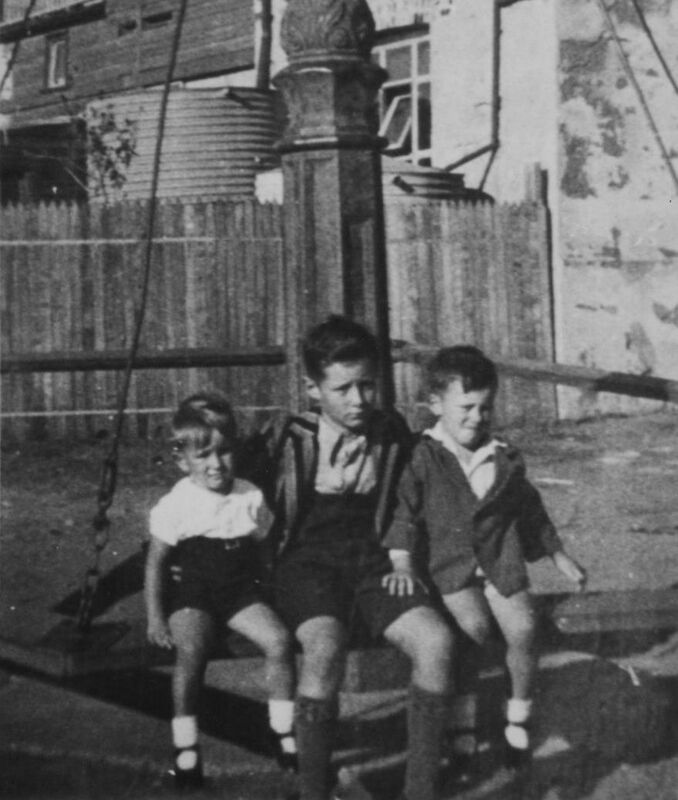 Stow's writing was heavily influenced by his boyhood memories of Geraldton and the local environment. His earlier novels capture the essence of life growing up in a small country town and provide vivid descriptions of the landscape and of the people. 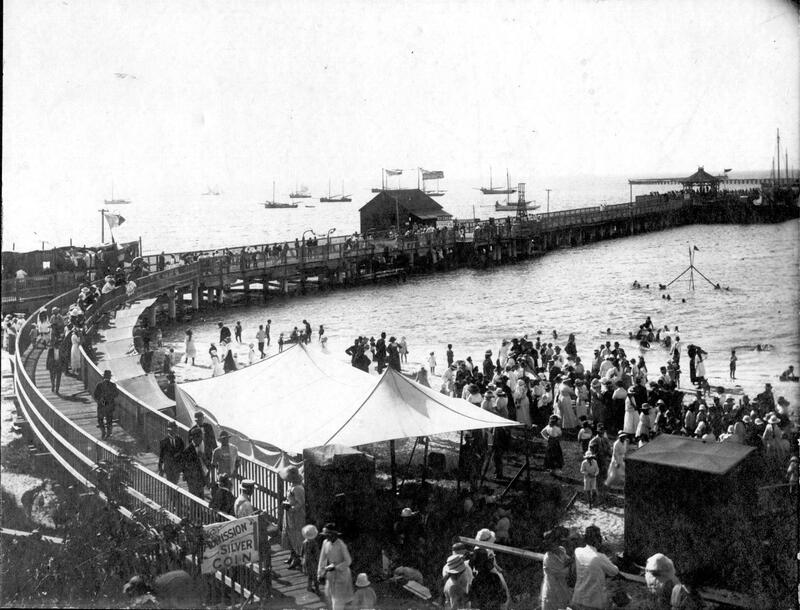 Prior to World War II the Esplanade Jetty along the Geraldton Foreshore was a popular destination for locals and provided a central location for many forms of entertainment. Families picnicked and promenaded along the jetty to the sounds of brass bands, whilst children duck-dived and swam amongst it's pillars. The Esplanade Jetty had been constructed in 1857 as Geraldton's first jetty. A sunken guano barge nearby resembled the popular wave swings on the beach and enchanted children with its mystery. In his fifth novel, The Merry-Go-Round in the Sea, Stow's character Rob Coram immortalised the much loved landmark on the Geraldton Foreshore affectionately known today as the Merry-Go-Round or the Fifty-Cent Swing. The merry-go-round was a composite of the hand-pushed one on the Esplanade near the old Library and the wreck of a fishing boat [guano barge] on the breakwater. Steel ropes dangled from the mast and swung out over the water and, to the boy, resembled the only kind of merry-go-round that he had ever seen – the one on the Esplanade. There have been four versions of the Merry-Go-Round. In 2015, the swing was restored by the City of Greater Geraldton and today provides a pleasant seating location adjacent to the Visitor Centre underneath historic fig trees. As a boy, Stow would often visit the old public library on Marine Terrace. His character Rob in The Merry-Go-Round in the Sea was also a regular visitor. This building has a fascinating history, originally built in 1878 as the first Government Railway Station in Western Australia. 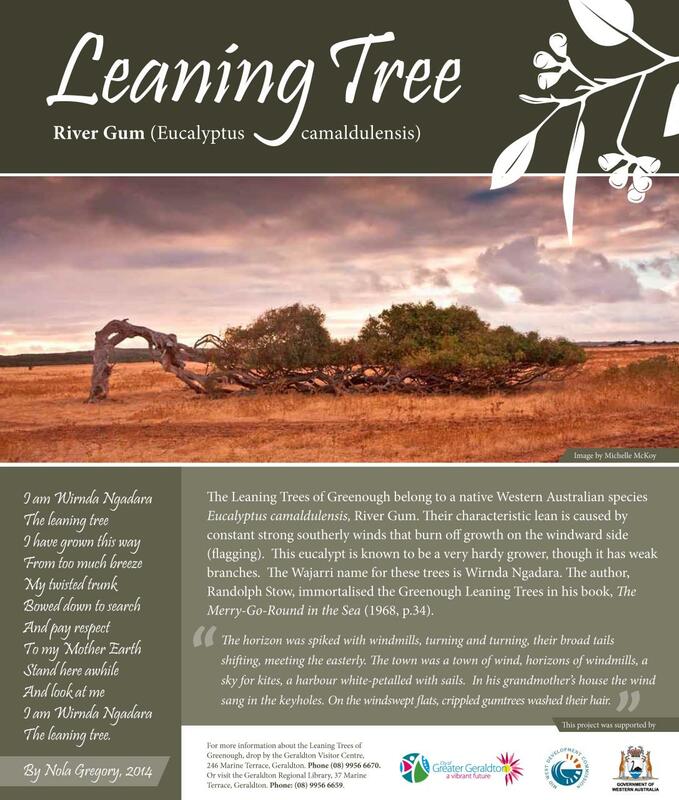 The Haunted Land draws from the ancient landscape found around Ellendale Pool, 45 km south-east of Geraldton, near Walkaway. Both Aboriginal and European history is celebrated by interpretive signage at this site. Overnight camping is also available. Ellendale Pool also appears in The Merry-Go-Round in the Sea and the poem "For One Dying". Nearby, the privately owned Ellendale Homestead provided the inspiration for "Malin", the station owned by Andrew Maguire in The Haunted Land. This property has been in the ownership of the Sewell family since the 1850s. It was named Sandsprings due to the many fresh water springs available in the area. Stow was related to the Sewell family and spent a number of his boyhood years visiting Sandsprings. The Sandsprings Homestead features in The Merry-Go-Round in the Sea under the name of "Sandalwood" and his characters Ernest and Rick are based on members of the Sewell family. The 1959 poem, "At Sandalwood" is also about this property. During World War II it was feared that the Japanese might invade or bomb the local coastline and so many women and children were evacuated from Geraldton to inland properties. Six women and twelve children were evacuated to Sandsprings and Koogereena, including six-year-old Randolph Stow. In The Merry-Go-Round in the Sea (2009, p.92), Stow described life at Koogereena, using the pseudonym "Andarra". Andarra lay cut off from the world...by a forest of gums springing mysteriously from the ground in which an underground creek came and went without warning, at time undermining the road to the house and then vanishing...The boy felt Andarra must be very old, but they said it was not. The old Narra Tarra Homestead was constructed in 1853 and is called "Kajarra" in The Merry-Go-Round in the Sea. plantation was authorised by Governor Weld in July 1870 and was situated on the western slope of the Moresby Ranges in Waggrakine. The Government agreed to commit 100 pounds for the project which was used to pay for seed and to employ at least five ticket of leave men. A well was also built alongside the cottage as a water supply. By the end of 1873 the experimental coffee plantation had failed and the reserve was subsequently sold. For many years the land was used to graze sheep and grow wheat while the building fell into ruin. During World War II the property was used by the army by which time the building had no floors or roof. In later years the building was used as a silo requiring the chimney to be bricked up. (Source: Heritage Council WA). In the shadow of the hills was the Witch's House, the abandoned stone cottage with a pointed roof like a witch's hat. The sand dunes in the area of Mahomet's Flats were said to be the home of Mahomet's gold, a treasure trove buried by the Afghan market gardener, Abdullah Mahomet in the 19th century. In The Merry-Go-Round in the Sea Rob and his mates fantasize about discovering Mahomet's stash (2009, p.161).